Project for the manifestation 'A Star is Born'. 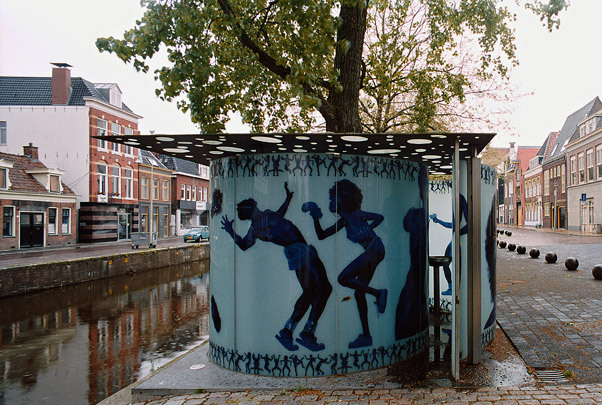 This milk-glass toilet building, with compartments for ladies and gents, is decorated with photographs of Erwin Olaf. They symbolize the 'battle of sexes'.